A neutronics and thermal-hydraulics coupled code named COUPLE is developed by the KIT/IKET-TRANS group, initially for steady-state and transient analyses. Furthermore, the refined channel model is developed for the active core region, which makes the code also available to other types of reactors using solid fuels. It can also perform neutronics or thermal hydraulics calculations as a stand-alone neutronics or thermal hydraulics code. 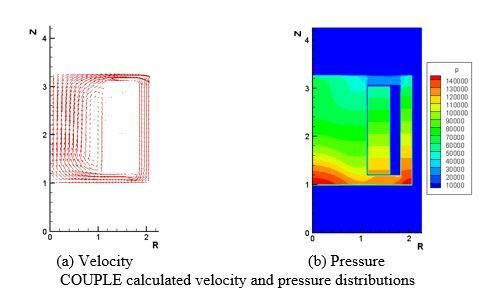 Recently, the code is extended into gas-liquid two phase simulation. Thanks to its simple scheme, the code is now used as an educational tool for CFD calculation in KIT/IKET-TRANS. Zhang D., Zhai Z.-G., Chen X.-N., Wang S., Rineiski A. Transactions of the American Nuclear Society, 108, pp. 921-922. Guo L., Chen X-N., Rineiski A. 11th Int. Topical Meeting on Nuclear Reactor Thermal Hydraulics, Operation and Safety (NUTHOS-11), Gyeongju, Korea, October 9-13, 2016. 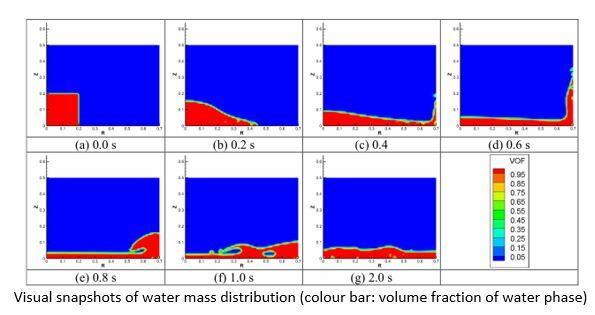 A kind of numerical CFD method is mesh free based on the Lagrange approach, which can explicitly capture the interface between different phases in the multiphase flow. 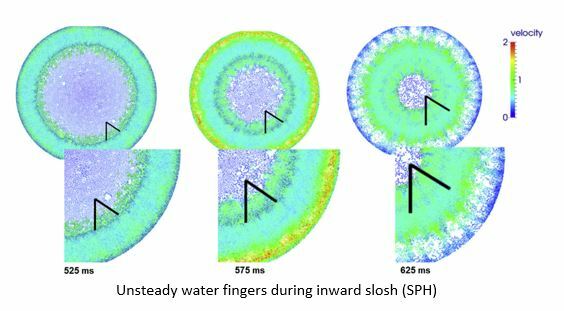 In KIT/IKET-TRANS, two particle methods, which are named as the smoothed particle hydrodynamics (SPH) and the ﬁnite volume particle (FVP), are applied in various fundamental simulations of compressible and incompressible multiphase flows. In addition, the discrete element method (DEM), which is also based on the Lagrange framework and particle assumption, can be used to exactly describe the transient trajectories of solid particles. Straightforwardly, fully Lagrange coupled particle methods (SPH, FVP+DEM) are used in KIT/IKET-TRANS to simulate specific multiphase flow with large amount of solid particles. Besides that, the DEM is also coupled with other mesh methods, such as SIMMER and so on.